OK, I’m going to confess something; I’m a bit of a skank. I don’t wash my make-up brushes anywhere near as much as I should. Other than make-up artists and wannabe models, I don’t think (or at least I’m hoping) I’m not alone in this. But really, who has time to wash them every single morning? And store them somewhere where they can dry properly, not just shoving them into a bag/drawer. I know I need to do it more often, and when you actually stop to think about all the bacteria that must be lurking in there it is nauseating. Today I finally got round to washing the mixture of make-up brushes I own. So yeah, that was my bout productivity for the day. I’m kind of wishing I had a pretty matching set of brushes now, perhaps that rose gold Zoeva set that has been all over twitter the past couple of months. Instead you get to look at a rather damp set of mismatched brushes that I have just gathered along the way. If you read certain magazines you will now that you can buy dedicated products for cleaning make-up brushes. However plenty of industrious experts claim that household items work just as well, and who am I to argue with them? 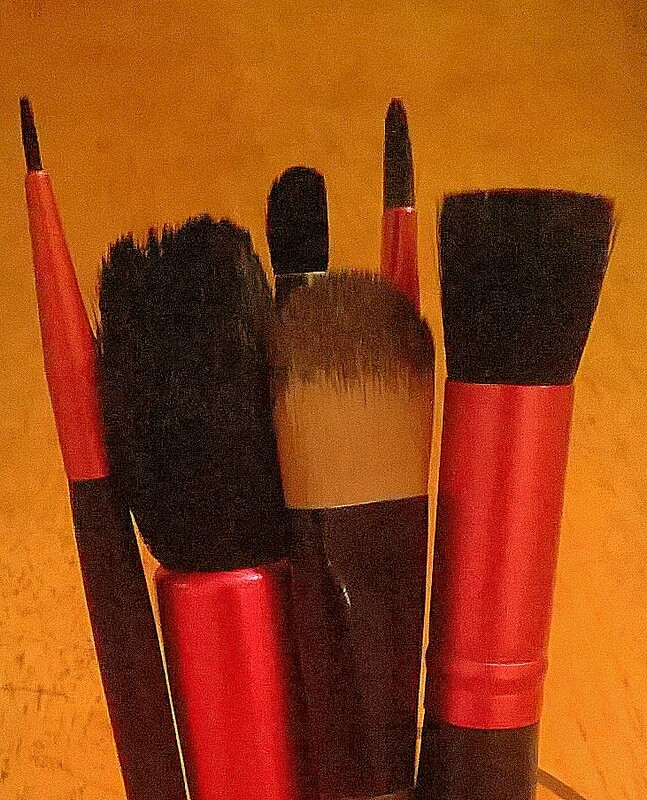 One of the main things to remember about washing make-up brushes is to get them wet (obviously) but don’t drown them. If you get loads of water down the barrel of the brush you risk making the bristles loose, eventually leading them to fall out. And nobody likes a bald brush. Would a bald brush even still be a brush? I use a bar of soap (just gently swirling the brushes on the bar after rinsing them) but liquid soap works just as well. I would recommend using a gentle soap, but really whatever works best for your skin type should do the job. It is important to rinse the brushes thoroughly, making sure you leave as little trace of soap as possible. I have heard some rumours that a good way to clean make up brushes is to soak them in olive oil. Please don’t listen to these rumours; I have no ‘evidence’ as such as to why this wouldn’t work but it just sounds like a bad idea. To me it just sounds like it would clog the bristles, and can you imagine how much washing it would take to remove all of that oil? Too long, is the answer. When it comes to drying the brushes, by all means blot them with tissue paper first but they will need to be air-dried. Find somewhere warm, not hot, where the air is free to circulate. Just from experience, if you’ve been a bit overzealous in washing them, you might want to stand them in a pot or a glass just to catch the excess water. Also you will need to give them loads of time to dry, don’t start washing them in the afternoon if you have a big night out planned. If you do try and use them when they’re still damp, your make-up will go on a lot less smoothly. In fact, it will probably be a bit streaky, not blend as well and not last as long. You have been warned. Next Post Healthkick: Getting a Head-Start on Summer.